The Rolo McFlurry is back at McDonald's throughout this summer and features vanilla soft serve mixed with milk chocolate pieces and caramel. You can find the limited-time frozen dessert at locations nationwide through September 11, 2017. 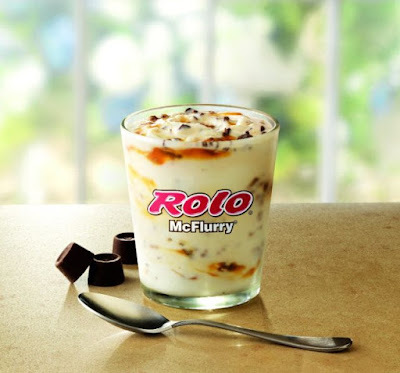 In addition to the return of the Rolo McFlurry, which was first introduced in 2012, the chain has announced the almost complete system-wide transition to a new recipe of their vanilla soft serve that is now free of artificial flavors (and still no artificial colors and preservatives). Also, their chocolate and strawberry shake syrups are now free of high-fructose corn syrup. You can find my review of the Rolo McFlurry here.